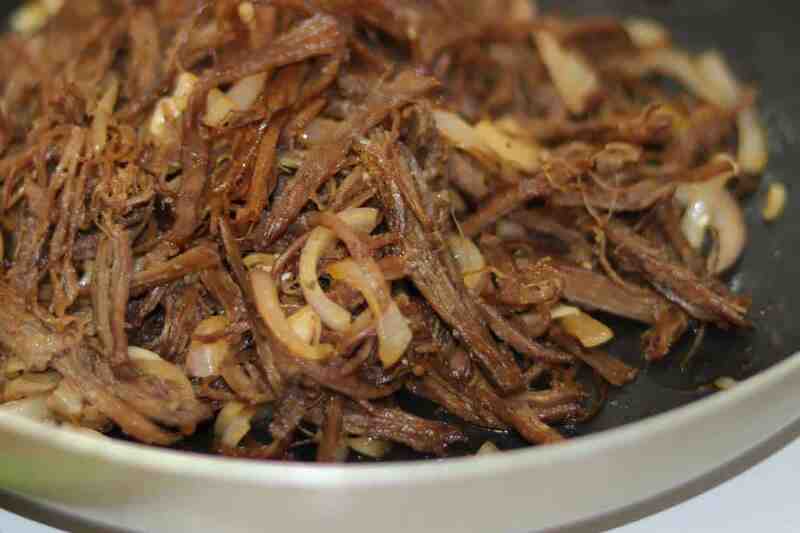 The Vaca Frita recipe is an essential dish in Cuban gastronomy, very easy-to-make and with an unmistakable and crunchy texture. 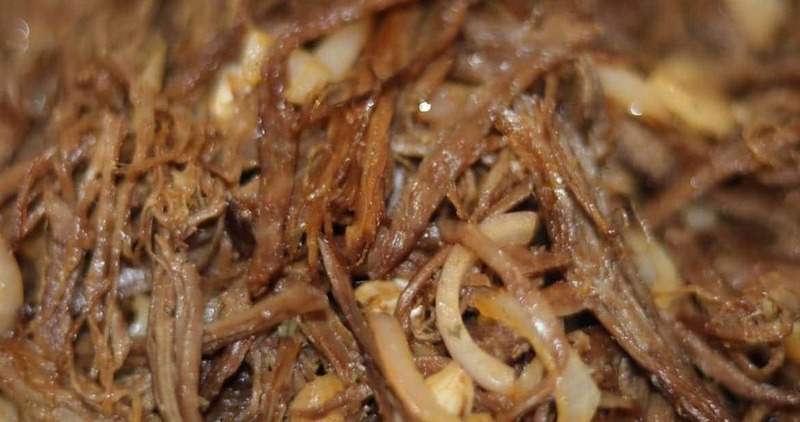 Its preparation is very similar to the famous Cuban ropa vieja, but with the peculiarity that it needs fewer ingredients. The final result is a dry meat that it is usually served with white rice and black bean stew since it doesn’t need any sauce. Other options to enjoy this delicious dish with are salads and a fried ripe plantain- an irresistible combination. It is a very simple recipe made with ingredients we all have at home. The use of different kinds of vegetables such as onions and garlic give the meat a strong, delicious flavor that is hard to ignore. The secret for perfect vaca frita is to cook it well before carving it. And we must be sure to cut thin slices so they can be easy to enjoy. To get a crunchy texture, the meat must be sautéed along with the other ingredients in a frying pan with a bit of oil. The result will be excellent and full of flavor, which is characteristic of Cuban cuisine. As you can see, it is a dish you can prepare and enjoy in very little time. Vaca frita is a delicious, typical recipe of Cuban cuisine and a perfect option to enjoy at home and is very easy to make. Cut the onions and the green pepper into julienne strips. Set them aside to use later. Cook the beef in a pot at medium-high heat for approximately 45 to 50 minutes. Add oregano, cumin, the bay leaf, a pinch of salt and one chopped garlic clove. (If you use a pressure cooker, the meat will get tender easier; in this case, cook it for 20 to 25 minutes). When the meat is ready, take it off of the heat, drain it, and let it cool to room temperature. Once the meat has cooled a bit and we do not run the risk of burning ourselves, carve it into thin slices. Heat the olive oil in a frying pot at medium heat. Add the rest of the chopped garlic cloves and the already-cut black pepper and onion. Sauté for 2 minutes and then add the meat. Sauté until the meat gets a golden color and a crunchy texture. Then, add the lime juice and the black pepper. Check the amount of salt and if we find it necessary, add a pinch more. Cook for one more minute and at the end, add the chopped parsley. Take the meat off of the fire and serve it hot with white rice, black bean stew and fried ripe plantain. You may use other kinds of peppers, such as red or yellow. Furthermore, you may add coriander if you so desire.